Epicinium is now live on Kickstarter! The game is planned for release in Q3 2019. Next to a regular release on Windows, macOS and Linux, we will release a separate open-source version if the Kickstarter is successful. Epicinium was made without any outside funding, so your pledge goes directly to supporting our further development. We prefer to be funded by you, our fans and supporters, rather than by corporate investors. The advantage of this is that we can keep our full creative freedom, allowing us to be as creative as we can be, and to listen to you while making the game. 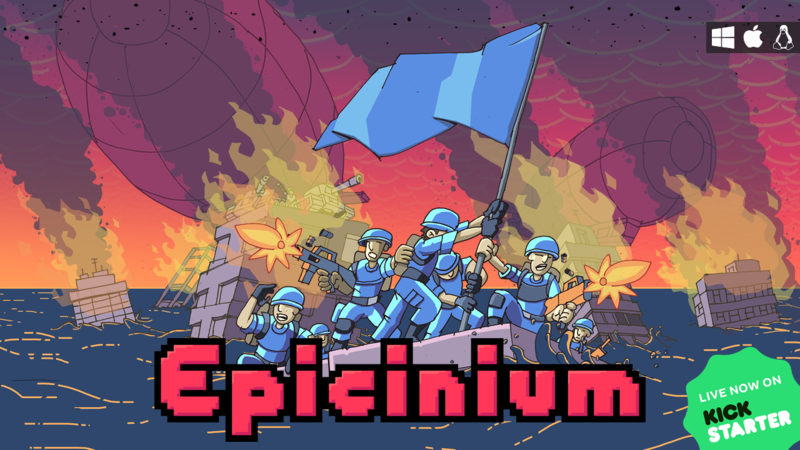 We have created games before, but Epicinium is our first video game project of this scale. It is about halfway done, and we are confident that we have the skills and drive needed to see this adventure through and deliver a well-rounded game at the end of it. Please back us and spread the word! With your support we can continue following our passion and create an amazing game!